DAVID LE/Staff photo. 5/20/15. 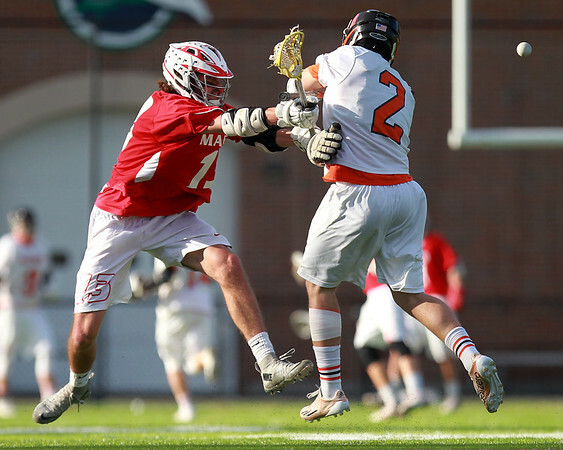 Masco senior midfielder Kevin Gilbert (13) separates Beverly sophomore midfielder Kyle Chouinard (2) from the ball with a cross check during the second half of play in the North Shore Cup.